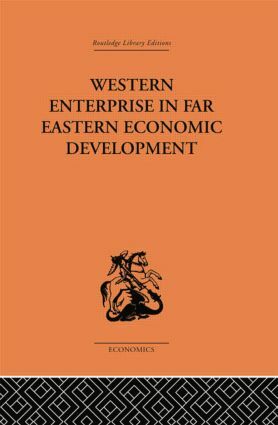 Western Enterprise in Far Eastern Economic Development charts the activities of Western firms in China and Japan from the middle of the nineteenth century, when those countries were opened to foreign trade, until recently. The organization of the Western business undertakings, the types of firms concerned and relations between the Westerners and the Japanese and Chinese economies are all discussed. Among the economic activities covered are: merchant banking, finance, manufacturing, mining, shipping and domestic transport. A dominant theme is the contrast presented by China and Japan in their response to Western enterprise.